Photo by Helen H. Richardson/The Denver Post - Colorado Governor John Hickenlooper. The death of a child is a particularly painful tragedy for anyone and deserves compassion for those near and far. A child can die from a medical issue or an accident, or from harm inflicted by another person. An autopsy makes that determination, and its contents should be available for the public to see. Colorado Gov. 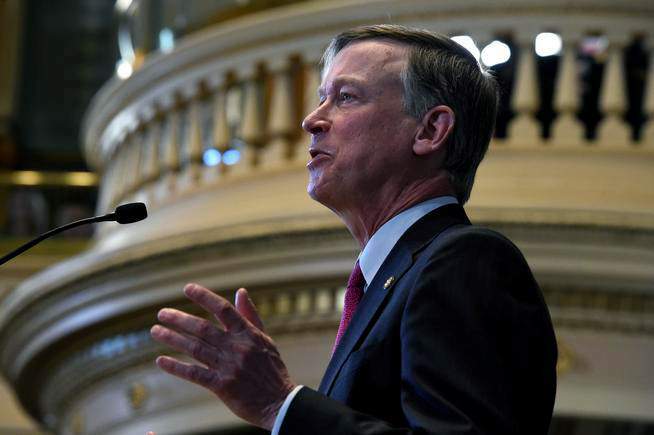 John Hickenlooper was right to veto legislation earlier this month that would have limited child autopsy review to family members, law enforcement, those going through a related legal process and targeted human services organizations. The public has the right to access those autopsies, usually through news reports, which can help in resulting in good. State coroners across Colorado and several county sheriffs advocated to exclude the public, for privacy reasons, from access to the autopsies. It is understandable that coroners, who may have to meet with parents of the deceased, are particularly sensitive to how painful that time and those details can be. In his veto, the governor referred to the times in which a child’s death occurred after a human services organization was aware of a child living in a possibly harmful environment and failed to take proper preventive steps. News organizations’ reports led to uncovering shortcomings and led to better future outcomes in similar circumstances. Individuals and organizations can be too close to a tragedy to take another perspective or a broader view, or to be able to shed conscious or unconscious limiting self-interest. News reports, which make possible broader perspectives, can sometimes lead to different results. To explain a child’s death, as for all deaths, that can be important. News organizations do not relish reporting child deaths, and most of them try to apply measured judgment in what is written. Suicides present particular challenges, and usually contain a minimum of details in response to research. No one wants to inadvertently add to the number of suicides. This is a country unlike many others that practices full disclosure and transparency, and knows their value. That can be painful at times, but overall, much better decisions result. So, too, is the value of continuing to make all autopsies available for all to see.